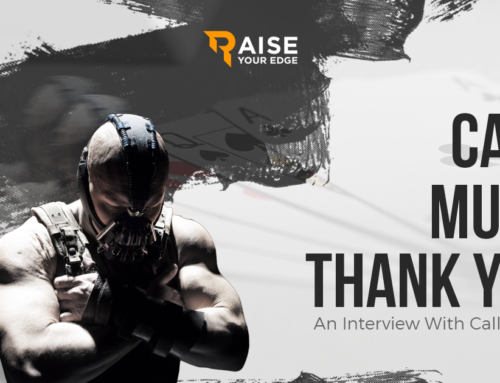 Winning with Matt Staples – Raise Your Edge! Hey Matt, Thanks for taking the time to chat with us! So where in the world are you these days? I’m currently living back home where I grew up in Lethbridge, Alberta, Canada, after 14 months of traveling I was looking forward to a little bit of stability in my life. Did you get a chance to decompress after the Ultimate Sweat challenge? As soon as the last bet finished the next day I had already started on my new personal challenge to lose some of the weight that I had put on during the last bet. With that being said eating healthy and losing weight did feel like I was decompressing compared to the pressure of the last few months of bulking and the pressure of worrying whether we would win or not. I was also very excited to get back to streaming full time and growing my channel which I had taken a break from during the last month of the Ultimate Sweat 1. So I was more so excited to tackle my new goals rather than chill with my winnings for a bit. Tell us about the latest challenge Jaime and yourself have going with Bill Perkins? What made you want to do another extreme challenge so close after finishing the original Ultimate Sweat? The new prop bet Jaime and I have with Bill is a 10% body fat bet, our $50,000 ($25K each) to Bills $150 000. Jaime and I both have till March 25th next year to be under 10% body fat measured by a DEXA scan. Jaime and I had talked about potentially doing another prop bet after this last one had finished and the body fat % idea had come up before so when bill brought it up it wasn’t a hard sell for us to want to take it. I had planned whether there was a bet or no bet to begin losing weight and exercising right away so the new bet aligned with my personal goals very closely and Its extra incentive for both Jaime and I to get into incredible shape. Of course having the story/media attention as well as the cash incentive are parts of the motivation as well. So not only have you been killing it in the prop bet side of things, but you’ve experience quite the run on the felt! What’s it feel like to see all your hard work paying off? This year has felt amazing in terms of poker results. As funny as it sounds I never really had high hopes for myself as a poker player and had always put myself in a separate category compared to other players.Growing my stream had always been my main focus and I just hoped that I could move up the stakes and scrape by but after putting in consistent work and seeing my bankroll grow/skill increase in Its opened my eyes to the fact that becoming a really solid player is definitely attainable and something that I want to pursue. It’s been a positive feedback loop, good results leads to the want to study more and the want to study more has led to good results. Which parts of your game do you feel most improved over the last year? If I had to pick something it would be stealing/bluffing. When I learned how to play poker I had learned how to play a value range with premiums and suited broadways but I hadn’t figured out how to bluff or attack my opponents range, steal the blinds, correct spots to barrel, which hands to bet and which hands to check, but now I feel like I am playing more aggressive in the right spots and its leading to more hands played and more chips accumulated. With your bankroll growing (along with your muscles) any plans on moving up stakes? 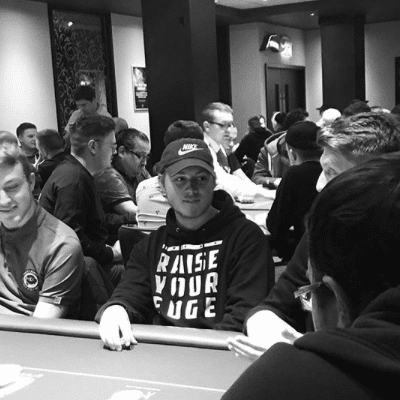 Does playing higher buy-ins affect your confidence or mindset? I have started to add some High Stakes tournaments to my schedule after some of my recent scores, I both want to test my skills at higher stakes to see how I do for a few months as well as give my stream something fun to watch. The majority of my volume is being played at the midstakes still though. 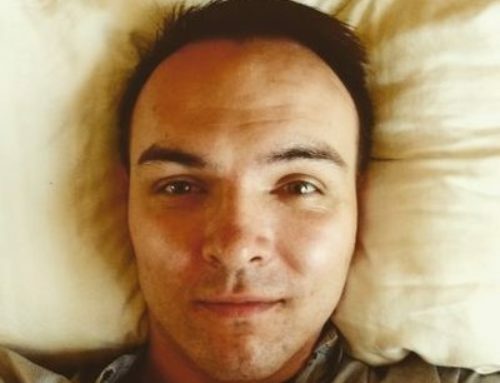 You famously started out as Matt Staples PA. How did that come about and end up transitioning you to poker and twitch stardom? I was in my first year of University without a job when Jaime started his twitch streaming career. Jaime had grown in popularity very quickly and he had offered to hire me to help him with stuff that would free up some time so that all he had to focus on was streaming. So I accepted the job as PokerStaplesPA (personal assistant) and helped with moderating his channel, cooking meals, answering emails, laundry, youtube editing etc. After a few months Jaime wanted to move out of town to Calgary to live with KevinMartin and asked if I wanted to come. I wasn’t very interested in University at the time and was just taking courses because my parents expected it of me so I moved to Calgary and that’s when I started playing poker and streaming on twitch. A few nights a week I would hop online for 30 people and play 0.10 and 0.25 c sit n gos and over time my audience and bankroll grew to a point where I wanted/was able to go full time with the gig. What future aspirations do you have both within and outside of poker? My main focus is and will be for the foreseeable future my twitch stream. I have been streaming for 3 years now and want to continue to grow my audience and community to a point where it is one of the biggest and most lively poker communities out there. My goals in poker are not so much monetary anymore as they are being able to prove myself in tougher and tougher games, I have just started to scratch the surface of high stakes MTT’s online and I want to get my game to a point where I can beat these consistently as well as try to reach closer and closer to my potential through consistent study. What experiences in life would say have had the most impact on you today and what lessons have they taught you? I would say traveling the world last year and having to step outside of my comfort zone so many times has made me a more confident person over all. Its helped me tackle things that last year I would have been scared to be a part of or engage in. I believe general confidence and less anxiety will move me towards where I want to be in life quicker and easier. What advice would you say to someone looking to get into poker as a career or a serious hobby? I would tell them that they will get out of the game what they put it. The avenue to being a profitable poker player is still wide open if the correct amount of work is put in. If you want poker as a job, you have to treat it as a job, and having the correct work ethic and mindset in this game can still pay off. The second thing I would advise is to take your time. Getting good at poker takes a long time and for most people trying to make money right away is going to be a very frustrating process. Focusing on getting better as a player rather than trying to make money I believe is the correct way to succeed. Last movie you watched and what would you rate it out of 5 stars? If you had a chance to bust one poker player out of the WSOP Main Event who would it be? Thanks for your time Matt. Any shout out’s you would like to give? 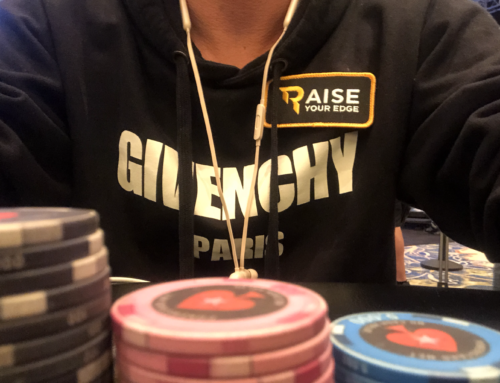 Shout out to the entire raise your edge community for being supportive of my stream and helping me improve as a poker player. The Man Behind Call, Muck, Thank You (callmuckty). NikkyMouse from your blogs it looked like a great time at the 2018 PCA! RYE Member Mexxximum $530 into a $20,000 cash!